My wife has been experiencing intermittent back discomfort of late and after watching a few educational infomercials, it would appear that her uneasiness is the result of sleeping on a “traditional” coil spring mattress. Doesn’t her twenty-first century spine deserve more than a nineteenth-century support system? What kind of husband was I? Forcing her to slumber upon a Serta Pillow-Top I found at Sam’s Club instead of cradling her vertebrae to promote overall wellness. It was for this reason that I foolishly suggested that we visit our local Sleep Number showroom. Upon entry, we were greeted by a courteous and friendly associate who eventually suggested that we subject ourselves to the Sleep Number pressure determination system. This consists of lying on a mattress while a pair of strategically-placed projectors display a silhouette of your embarrassingly-unrested body. 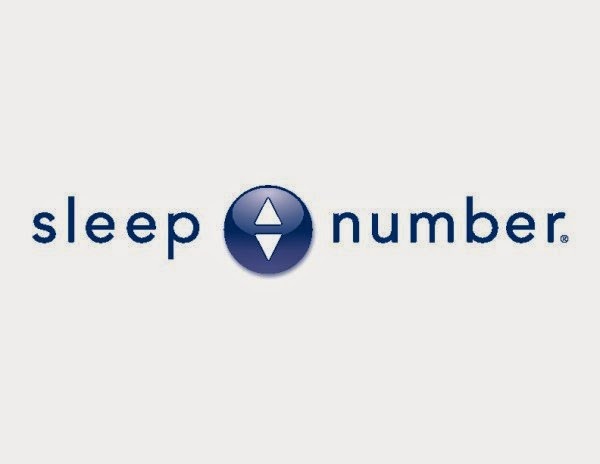 During this time, you are asked to select your “sleep number” which is a level of firmness designated by a numeric value between 0 and 100. We perused the floor models until we settled on the i10 king with the independent adjustable bases. As I manipulated the bed’s remote control, the store manager printed out an estimate and gingerly handed it to me as I sank into the comfort layer. As I glanced toward the bottom of the page, he reminded me that the “$400 instant savings” is only good until Sunday. I was almost intrigued until I realized that the model we were currently reclining on ran just under $10,000. I came dangerously close to wetting the proprietary memory foam. The manager seemed taken aback when I asked, “Any wiggle room here?” and quickly informed me that they “don’t haggle” at the Sleep Number Store. I responded that if I was going to be asked to spend a Hyundai I should at least be given the satisfaction of quibbling with the sales manager. I further elaborated that for $10,000 it ought to alleviate marital problems in addition to providing a refreshing night’s sleep. Both he and my wife were conspicuously unamused. Moving on, he highlighted the 90-Day in home trial whereby we could return the sleep system if we found that it performed less than admirably. Again, this was tempting until he revealed that the in-home trial did not cover the $3,000 adjustable bases and there was a return fee on the mattress itself. Even supposing we had 10K lying around, they recommended that we get a stain-repellent cover so as not to damage or discolor the top-secret astronaut stuffing. This added another several hundred to the tab. Conveniently, they offer 24-month financing with a retroactive interest rate only slightly less than what was currently available from an organized crime syndicate. I almost asked what the procedure was for mattress repossession in the event of non-payment, but I was afraid he would reply that it too had been developed by NASA. The more we spoke to him the more I was convinced that he was also sleeping on a Sam’s Club Pillow-Top. For this reason, I chose not respond as my wife and I were leaving the store and he reminded us that we only had a limited time to take advantage of the $400 price-reduction. Maybe there is a more economically-feasible bedding technology developed by the Russian space program we could look into. In America you do not have to have a gun to "rob" people of their money. This is just 1 such story in the Naked city !